It is the most wonderful time of the year: summer holiday season! What better time to share my current in-flight essentials with you guys. 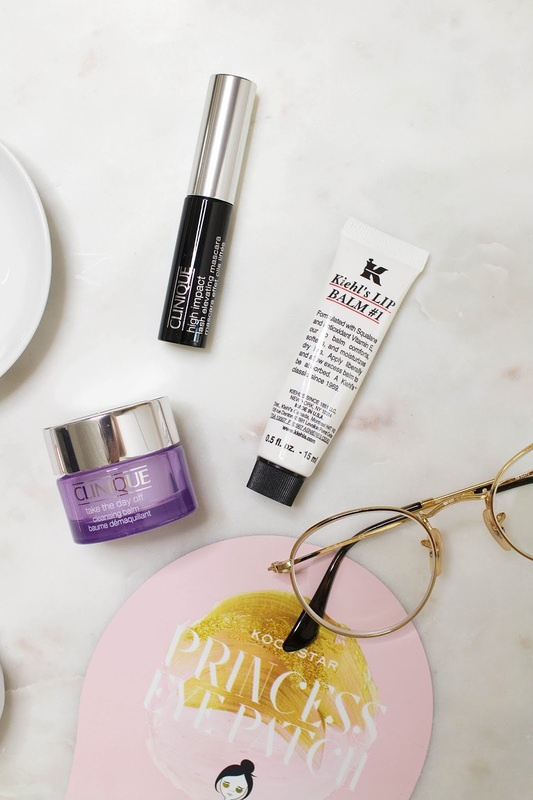 Whether you're heading out on a quick city trip or a long-haul flight, there's a few essential products I usually take with me to make the whole flight experience more enjoyable and set the tone for my travels. 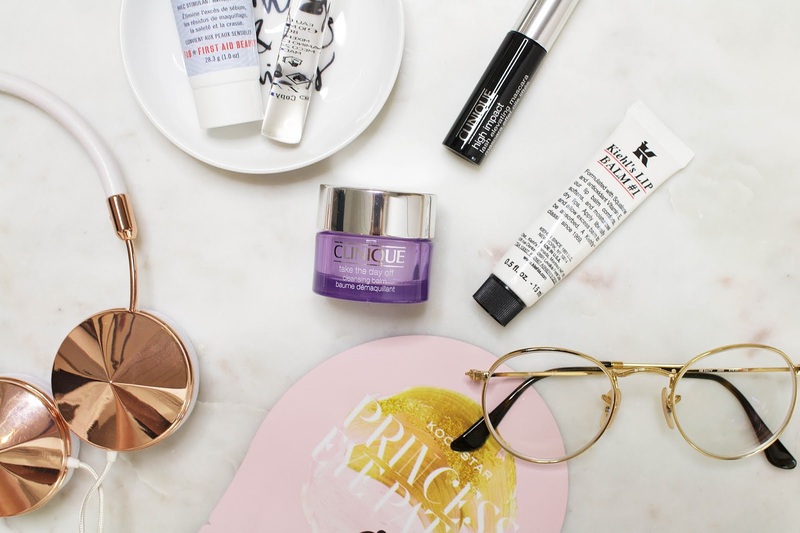 From my favourite beauty products to fun add-ins, here's a list of what I always have on hand when flying. If you're a contact lens wearer like myself, you will probably know that flying with contacts can be unpleasant to say the least. The dry air can not only cause dehydration and irritation on your skin but also make your contacts feel tight and uncomfortable. That's why I always bring my glasses and usually go without contacts. I recently bought a new pair of glasses from Ray-Ban and I'm so obsessed with them. I love the gold and round shape of the glasses. If you want to catch a little bit of sleep during your flight I also highly recommend investing in a good sleeping mask. I found these beautiful Pure Silk Sleep Masks on Cult Beauty and I love how luxurious and pretty they are. They are definitely something you should consider to invest in if you're traveling a lot. Depending on how long your flight is, I would always recommend to wear something super comfy to feel extra cosy on the flight. A soft pair of trousers along with a simple t-shirt is what I go for. One thing I'm never without on a flight are headphones. I'm still obsessed with my Frends Layla Headphones* that I got for Christmas a couple of years ago. I absolutely love the rose gold details and they are super comfortable. Another option would definitely be a pair of Noise Cancelling Headphones* if you want to survive a long-haul flight! Probably the most exciting part of the flight are my beauty essentials. I always take a few products with me that I can use during the flight and I keep a huge bag of minis at home solely for that reason. I usually never wear makeup when I travel so I always bring a few skincare goodies for freshening up. That's why I always take a cleanser like the First Aid Beauty Face Cleanser or the Clinique Take The Day Off Cleansing Balm with me. 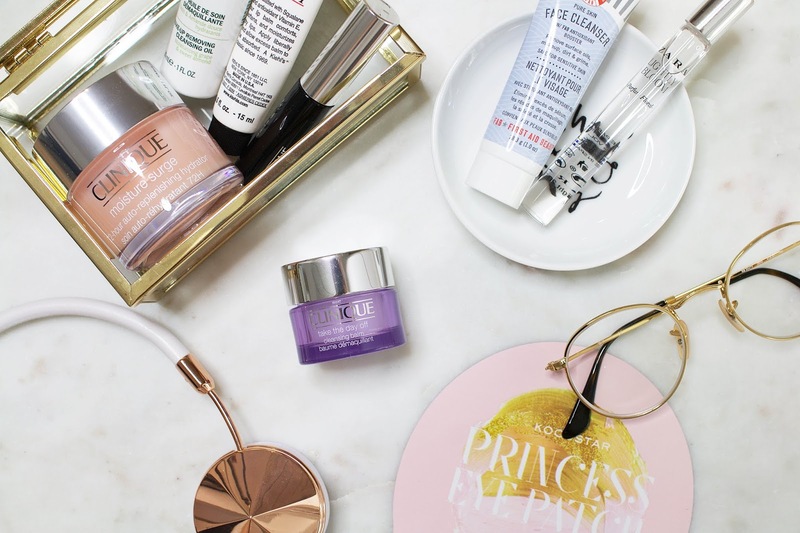 These travel sizes are super handy! A good moisturiser is also a good idea - I love the Clinique Moisture Surge Moisturiser and smooth a thick layer on cleansed skin. Whenever I travel, I always bring some form of sheet mask or eye mask and I'm currently loving the Kocostar masks. The packaging is just adorable and I love how my skin feels afterwards. Especially their Princess Eye Patches are my go-to at the moment. 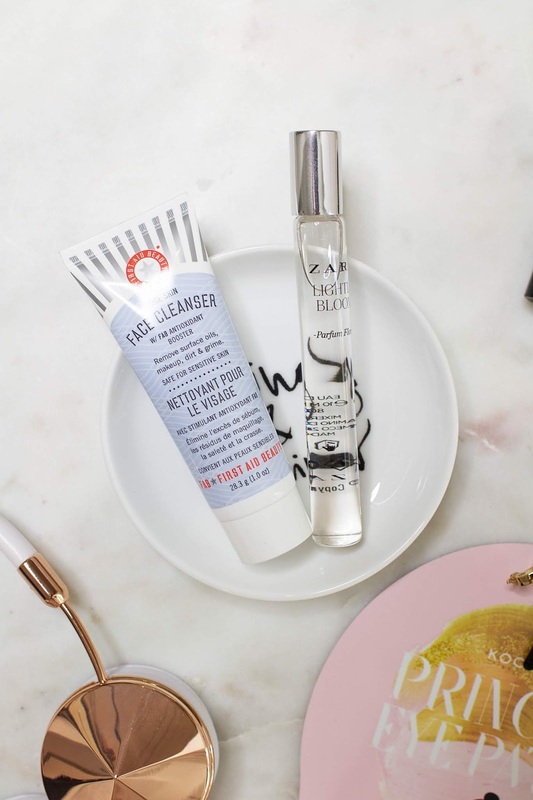 Perfume and deodorant also come in handy on a long flight and I personally like bringing a little rollerball perfume because it's easy to stash and you can target exactly where you want this fragrance to go. I've been using the Zara Light Bloom Perfume for that. Makeup wise - I usually only take a concealer and mascara with me because like I said, I don't really like wearing makeup when I'm traveling. However, it is nice to have something when you're leaving the plane that makes you look a little bit more awake and put together. What are your in-flight essentials? Let me know in the comments.